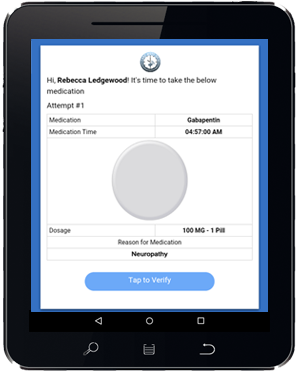 The Take Meds Now application was designed to be easy to use, providing you and your family with peace of mind. By using the everyday technology that is available to you, Take Meds Now offers a valuable service that will make sure you take the correct doses of the correct medications at the correct times. Our application also allows you to connect with your doctors, improving communications and keeping them up to date on your progress. Ultimately, it is our mission to help you take better control of your personal health. 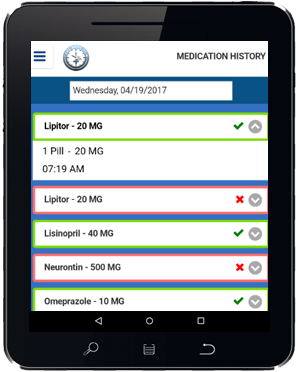 Take Meds Now is a cloud-based application that can be accessed through any device or operating system, including Apple iOS, Windows, Android, etc. 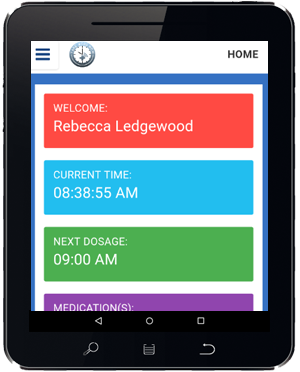 Whether it is a personal desktop or laptop computer, smartphone, or even a tablet, you can use Take Meds Now to manage your prescription medications. Using the application is simple: just sign up for an account, log in on your desktop, laptop, and/or download our app to your smartphone or tablet, and begin enjoying the peace of mind Take Meds Now offers you and your family. All you need to do is enter your current prescription medications, and Take Meds Now will begin sending you detailed notifications when it is time to take your medications. Our notifications include the name and dosage of your medication, the reason you are taking it, and an image as pulled from our extensive database of prescription medications. Notifications can be set-up with follow-ups at 5 minute intervals, so you don’t miss a notification if you are not near your device. Once you have taken your medication, all you need to do is click a simple button to confirm and register that you have successfully taken the proper dose. As each notification is confirmed or missed, Take Meds Now keeps a comprehensive history. 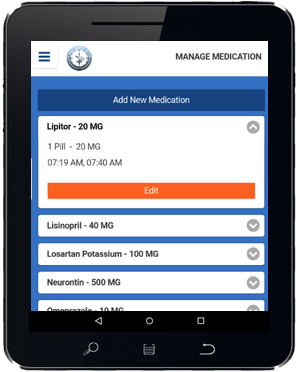 You can view which medications you have taken, and which you have missed on a day by day basis. This provides you with insight on how you are doing, and potentially identify factors that may be impacting how you take your medications: such as what time you are taking your medication, or taking multiple medications at once. Ultimately, Take Meds Now is designed to offer you and your family with peace of mind. We want to help ensure that you are taking your prescription medications properly, so you can avoid any adverse reactions or complications that can accompany improper prescription drug usage. We allow for users to loop in family, friends, and caregivers - so those who need to know how you are doing with your medications are informed. Take Meds Now also allows for you to connect your account with your Doctors. 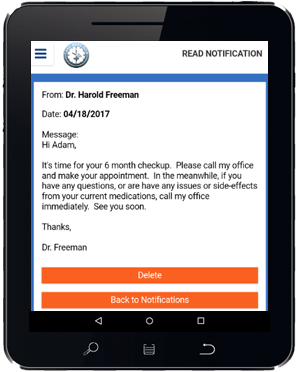 Not only will this keep your doctors up to date on how you are doing with your prescription medications, but can improve communication, follow-ups, and your overall healthcare. Take Meds Now is designed with the highest levels of security. We ensure that all personal data is highly secure, and all feature functions are in complete compliance with HIPAA regulations. This is done by employing a number of layers of security: including firewalls, SSL security, and multiple forms of modular data encryption. Making sure that your personal data is safe and secure is our highest priority, and we take every measure possible to continuously implement the latest security measures. Ultimately, we understand that you are trusting Take Meds Now with the most sensitive information you have - so we use the latest security measures and never share any identifiable data with 3rd parties.